Morris Eaves's research has been principally concerned with literature and the visual arts and with the cultural contexts of British Romanticism, especially the interlocking histories of technology and commerce. His current project, Posterity, is a speculative study of editorial theory and practice in terms of the audience's historical power to preserve, alter, and abandon its objects of interest. From this angle he is exploring the social role of editing and its product, the edition, in connection with such issues as censorship, plagiarism, and intellectual property. Eaves wants to understand "editing" in its broad, fundamental connections with communication, information control, and cultural memory across a range of arts and media. 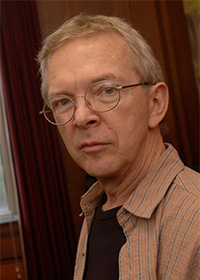 His interests in multimedia editing, media history, and British Romanticism are combined in his work as a project director and editor of The William Blake Archive, the online digital edition of Blake's literary and artistic work, sponsored by the Institute for Advanced Technology in the Humanities (University of Virginia) and the Library of Congress.